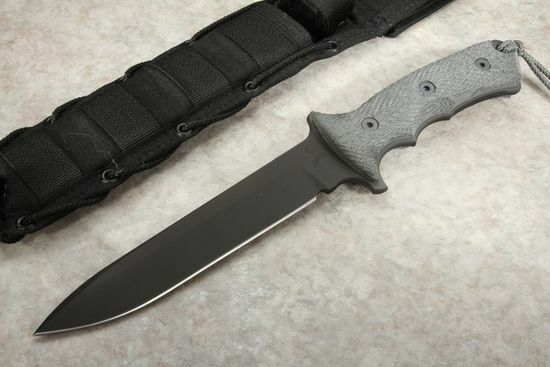 Chris Reeve 7" Green Beret knife, non-serrated black PVD edition. William Harsey design. American made stainless S35VN steel with a 55-57 Rockwell hardness. Black PVD coated. Full tang design. The handle is textured and contoured black canvas micarta for a secure grip under wet or dry conditions. Integral lanyard hole in the handle with a cord lanyard attached. 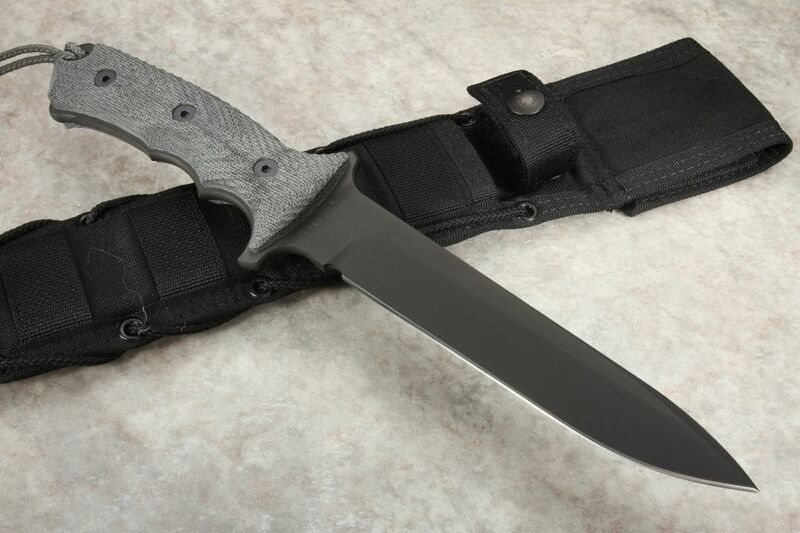 First Spear brand sheath made for Chris Reeve Knives. Made in America with pride and precision by Chris Reeve Knives. KnifeArt.com is honored to represent Chris Reeve knives as an authorized dealer.